Born in Osaka Prefecture. 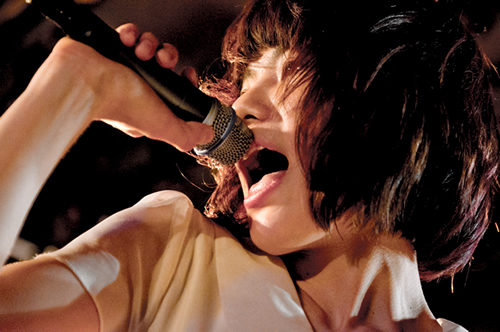 In 2003, became the vocalist/guitarist of the rock band, Midori. Her costume featuring a sailorman blouse, and her jazz-punk fusion sound, accompanied by aggressive stage performances attracted many fans; however, after the December 30th, 2010 concert, the band suddenly announced their breakup. After some time of silence, on December 27th, 2011, she restarted her musical career as a solo artist at her event. On July 2012, released her 1st solo album “299792458”. In August of that year, performed at the rock musical “Hedwig and the Angry Inch” with Mirai Moriyama.